Amish Macaroni Salad is full of flavor, texture, and fresh ingredients. For a spring picnic or a light dinner side dish, make a big batch of this and watch it disappear! Macaroni Salad is a staple at outdoor barbeques. 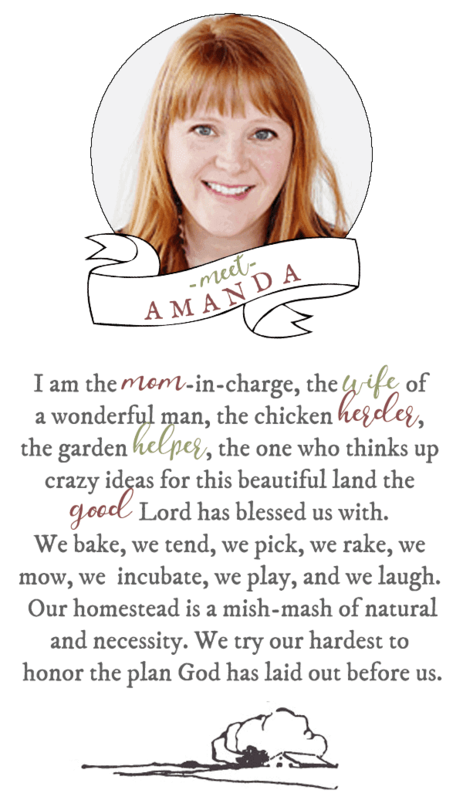 I crave it when I head to graduations, summer parties, or any outdoor potluck. Does that stop me from making this recipe on a random Tuesday? Nope. I love this stuff. 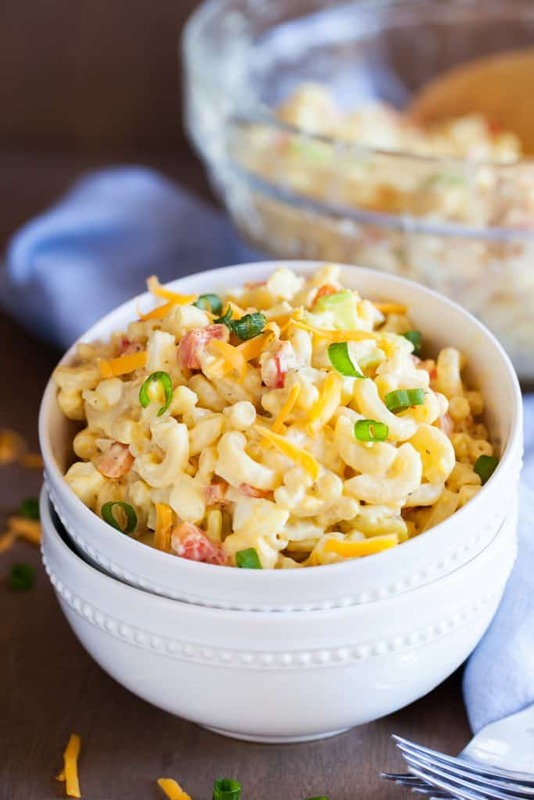 This Amish Macaroni Salad recipe is so sweet and tangy. My mouth is watering just talking about it. The base for this dish is Miracle Whip, not mayo (sorry). Mayonaise is great for many things, but make sure you use Miracle Whip for this recipe. It brings out the tangy flavor of this amazing creamy dish. 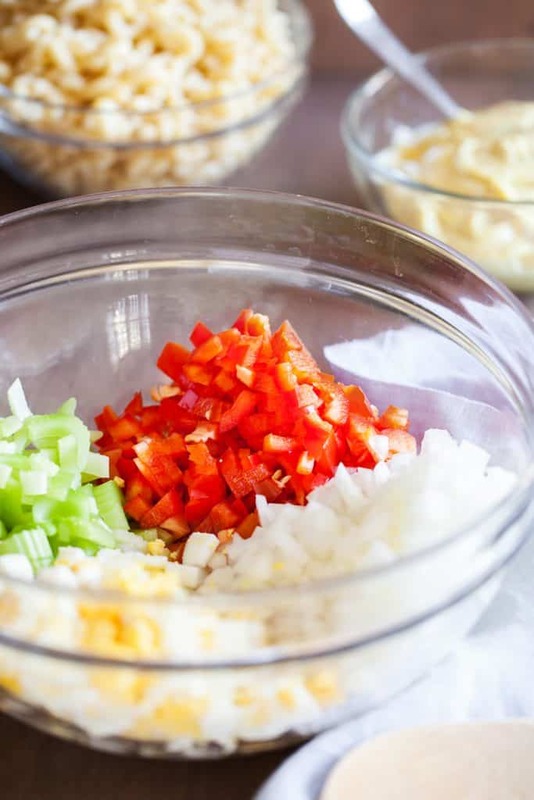 If you have the time, make sure to let this Amish Macaroni Salad refrigerate for a while (overnight if you can). The chilling process allows all of the flavors to marinate together so nicely. 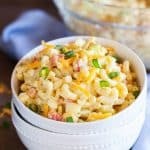 Can I make Amish Macaroni Salad with Ham? What the heck, why not! Small chunks of sweet ham might taste pretty good with this dish. Can I make this with a different type of noodle? Yes, but I caution from using noodles that get too flimsy. That could make the dish taste a little mushy. I would stick with a more structured noodle like elbow, bow-tie, or fusilli. Heat a large pot to boiling and cook the macaroni for the time instructed on the packaging minus 1 minute (ie. if the instructions say cook for 9 minutes, cook for 8 minutes). Drain and rinse under cold water. In a large bowl, add the eggs, red bell pepper, onion, and celery. Stir to combine. In a separate medium bowl, whisk together the dressing, relish, mustard, vinegar, sugar, celery seed, and salt. Pour half of the dressing mixture into the egg mixture. Stir to combine. Add all of the cooled macaroni and stir to coat. Add in more dressing, if needed. Serve immediately or cover and chill in the refrigerator until ready to serve. Recipe adapted from Sweet Little Bluebird. Photography by The PKP Way. Did you Make Amish Macaroni Salad? I am going to make this Mac salad for my next family get together and for my next church pot luck. Thank you for these recipes. I have a lot of Amish recipe books, but I have never seen this recipe. Love reading the Amish recipes, my mom’s family is mennonite, instead of using vinegar use the pickle juice. Pickle juice is vinegar anyway. Just thought I would add that hint.